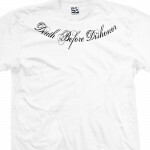 The Death Before Dishonor Distressed Collar Bone Tattoo is available in multiple shirt and print colors and almost every size imaginable. Ask us about combining this logo with another on the same shirt. Have a different idea for your collar bone tattoo shirt? Check out our Custom Collar Bone Tattoo Shirt here. The Powered by Demons Guided by Angels Collar Bone Tattoo Shirt is available in multiple shirt and print colors and almost every size imaginable. Ask us about combining this logo with another on the same shirt. Have a different idea for your collar bone tattoo shirt? Check out our Custom Collar Bone Tattoo Shirt here. 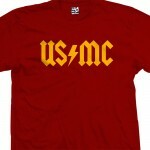 The US/MC AC/DC Style Back in Black USMC T-Shirt is available in multiple shirt and print colors and almost every size imaginable. Ask us about combining this logo with another on the same shirt. 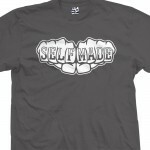 The Self Made Knuckles T-Shirt is available in multiple colors and almost every size imaginable. Ask us about combining this logo with another on the same shirt. The Semper Fidelis Distressed Collar Bone Tattoo is available in multiple shirt and print colors and almost every size imaginable. Ask us about combining this logo with another on the same shirt. Have a different idea for your collar bone tattoo shirt? Check out our Custom Collar Bone Tattoo Shirt here. The skull and phones design includes the classic skull and bones pirate logo with headphones replacing the skull. Great for audio geeks and music lovers. The shirt comes in multiple colors and almost every size imaginable. The Semper Fi Knuckle Tattoo Fists Shirt is available in multiple shirt and print colors and almost every size imaginable. Ask us about combining this logo with another on the same shirt. Have a different idea for your knuckle tattoos? 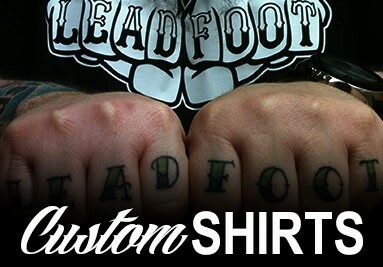 Check out our Custom Knuckles Tattoo Shirt here. With no disrespect to the LIVESTRONG organization, we present to you the LIVEWRONG T-Shirt. 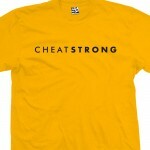 Inspired by the immortal Lance Armstrong. 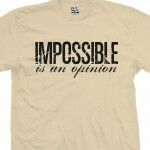 Available in multiple shirt and print colors and almost every size imaginable. 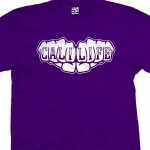 Represent California with the Cali Life Fists T-Shirt. 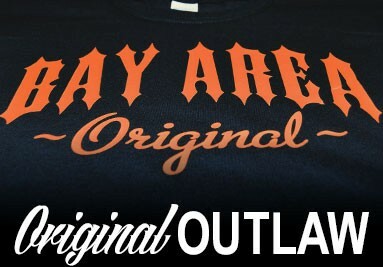 Part of our Knuckle Tattoo line of tees. Available in multiple garment and print colors and almost every size imaginable. The Take That Fist Knuckles Tattoo T-Shirt is available in multiple shirt and print colors and almost every size imaginable. Ask us about combining this logo with another on the same shirt. The Custom AC/DC Logo Personalized T-Shirt features classic ACDC style font with optional Thunderbolt. Available in multiple shirt or print colors and almost every size imaginable. The Bona Fide Fist Knuckles Tattoo T-Shirt is available in multiple shirt and print colors and almost every size imaginable. Ask us about combining this logo with another on the same shirt. Personalize your own Custom shirt with the Got Milk? Font. Just tell us what you want your shirt to say in the comments box at checkout and we'll print it up. Available in multiple colors and almost every size imaginable. Ask us about combining this logo with another on the same shirt. Create your own custom Keep Calm and Carry On Personalized Shirt. 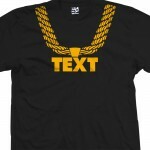 We can change up any of the words you see on the sample shirt. If you want it to say Keep Cool Don't Be A Fool. That's kool and the gang, just be sure to give us the exact details as to how you'd like the words broken up and sized etc. in the Text Box. Taking the kids to Disneyland or have a Disney Themed Party? 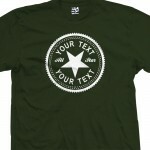 The Custom Disney Style Text Font T-Shirt. Just tell us what you want your shirt to say in the comments box at checkout and we'll print it up. Available in multiple shirt or print colors and almost every size imaginable. Create your own Classic Custom Old English Personalized T-Shirt. Just tell us what you want your shirt to say in the box below. Available in multiple colors and almost every size imaginable. Ask us about combining this logo with another on the same shirt. The official On Point Produktionz T-shirt is here. Represent one of the hottest production teams in the South. Available in multiple shirt and print colors and almost every size imaginable. The RIP Ryan Dunn Jackass 3D Memorial T-Shirt comes in multiple colors and almost every size imaginable. Rest in Peace Ryan. This is the Keep Calm and Carry Fight On USC Trojans T-Shirt. If you're looking to create your own Custom Keep Calm Tee, check out our Keep Calm Custom Shirt. Create your own custom I Can't Keep Calm and Carry On Personalized T-Shirt. 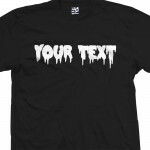 We can change up any of the words you see on the sample shirt. If you want it to say Keep Cool Don't Be A Fool. That's kool and the gang, just be sure to give us the exact details as to how you'd like the words broken up and sized etc. in the Text Box. 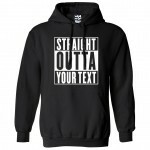 Create your own custom Straight Outta Your Text Personalized Hooded Sweatshirt. 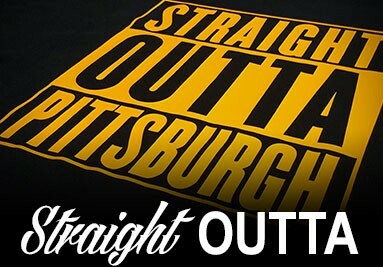 Add your city, hometown, home school, etc. Please understand if your text is slightly longer or shorter than COMPTON, it will look slightly different. If it's a lot longer or shorter, it will look a lot different. Create your own custom Calvin Pee on shirt. Just leave us a note as to what you want Calvin to piss on and we'll print it up. It can be a logo or lettering of your choosing. Available in multiple colors and almost every size imaginable. 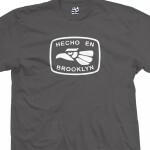 Ask us about combining this logo with another on the same shirt. The Keep Calm and Cruise On T-Shirt is great for lowrider and classic car lovers. If you're looking to create your own Custom Keep Calm Tee, check out our Keep Calm Custom Shirt. 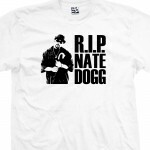 Rest in Peace Nate Dogg. Long Beach is gonna miss you homie. Create your own custom shirt with your Personalized Twitter handle on it. Just tell us what you want your shirt to say in the comments box at checkout and we'll print it up. Available in multiple colors and almost every size imaginable. Ask us about combining this logo with another on the same shirt. 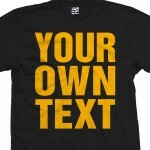 Create your own Custom Addiction shirt. Great for those into the MMA and UFC. Not related to the Affliction brand. Available in multiple colors and almost every size imaginable.